E Commerce in India has made tremendous inroads with the consumer base. The way the market has managed to escalate quickly and appeal to customers across age groups and demographics has trumped all expectations. However, there is still a gap when it comes to optimising market potential. We have a population of roughly 1.25 billion of which the portion of online buyers is a minuscule 30 million. With technological innovation, India’s e-commerce businesses need to leverage the huge possibilities that offline commerce still offers in the country.It is estimated that Ecommerce share will be 3% out of Indian retailer spend by 2020. At the same time matured Ecommerce markets like America after 1.5 decade.Yet 6% of retail happens through online ecommerce. This proves that there is GAP which can be bridged through Technology. In India, traditionally, most buyers prefer to purchase at local retailers’ stores. This is simply because the trust factor is much higher in these transactions and for several kinds of products, even the most tech-savvy customer, likes to get comfort and trust with seller before shelling out cash. It has therefore become imperative now for online platforms to create avenues through which they can reach out to the billion consumers who have still not taken to e-commerce or aren’t ready to embrace it fully. If online retail is brought offline successfully, it will also benefit consumers greatly as they will be able to take advantage of the competitive price points and pan-India inventory that only e-commerce can offer as of now. As the understanding of bringing online commerce offline becomes deeper, we are seeing a kind of new wave in Indian e-commerce. Several industry leaders are looking at hybrid models to amalgamate the best of both forms of retail. Online businesses are increasingly charting out strategies to create an offline presence through physical stores to reach next billion consumers in both metros and tier II and III cities and towns. Some of them believe that their product lines are such that customers prefer a real interaction with Human seller over a purely virtual one. Many others are setting up brick-and-mortar stores as a brand building exercise rather than as a step that further propels business. The underlining point is that a consumer who isn’t online should be able to buy your products and also gain a brand salience about your business through its physical presence and this is where many online retailers are now focussing. There are other technology-backed headways that are being made in this direction with great agility. For instance, customers can now be connected to e-retailers through electronic devices/points of sale through their trusted neighbourhood stores. They can access the inventory of various online businesses, choose the product they like, get assistance on details over the telephone and book the order by depositing cash at the local store. A model such as this makes the myriad benefits of online commerce accessible to the remotest of locations in our country and to the most hesitant of online shoppers. The business landscape naturally gets a solid shot in the arm as it is able to tap the immense prospects that still lie untouched in India. Also, since the consumer makes the payment upfront with the local store or vendor, the problems associated with Cash on Delivery get mitigated to a large extent. The local retailers profit as they can sell many more products and services and earn more by just being the facilitator for the end consumer without investing extra in space or inventory. The devices that store the data of e-commerce platforms can also be sold to housewives who wish to become financially independent by taking orders on behalf of their friends and family. The buyer, this way, gets a sort of added security regarding their money as the transaction is being conducted through a trusted member of the community.The opportunities, therefore, and the creativity with which such models can be applied are numerous and will be the way forward for commerce in the country. By truly bringing the benefits of online commerce on offline channels, businesses can generate tremendous value for themselves as well as the consumers from even the lowest end of the purchasing pyramid. Online retailers also get a chance to expand their networks and also their horizons by selling products that may not find a ready market in the realm of conventional e-retail. Customers know that they have a brick-and-mortar location to look to in case the item is not up to their expectation, enhancing their propensity to buy such products through these hybrid models. A perfect blend of the advantages of online and offline retail, therefore, seems to be the way forward for the Indian market and is set to become the ideal way in which e-commerce can make its next big leap into the future. We at iPay launched and Pivoted this Business model called Dukanline(Dukan+Online). Aapke Local Online Dukan. To our Surprise Local Kirana Stores now selling items which they never dreamed of selling. Now Kirana store is not just Kirana store with our Dukanline Brand and Our Technology Business in A Box POS . Now Any retailer can sell E Inventory of 1000s of products and serve his catchment area. Can Kirana Stores sell Washing Machines …? Are you wondering how Kirana stores are selling products, which they have never sold before, viz. Washing Machines, Blenders, Dress Material, Shoes, Rice Cookers and Trimmers and so on. Recently we came up with some thing very interesting that made us confident enough to sell any thing through local kirana stores and touch the sky of success. At first we were dubious to sell big-ticket items thinking our customers may not buy high-ticket items at Kirana stores. But the truth is very different for Indian consumer. Based on this, we could not hold trying to launch a new category of white goods such as washing machines. Surprisingly we witnessed that the orders trickled in first few hours of launch! This made us clear that we should continue selling items through Kirana store, where customer and retailer will have strong personal bonding. Yesterday we received 2300 orders of different products and since last night we processed 2300 shipments in one day. We are targeting this month end at least 3000 orders one day to set a bench mark. Surprisingly one of our Retailer who is small Kirana shop owner in Srikakulam district sold 112 Ecommerce yesterday. That means one Kirana store could take 112 order and do business worth of Rs 31,580 then what ever we are thinking becoming true .Once upon a time we were thinking that our retailer would do max 10 orders a day this example proves two things 1) what ever we thought 10 orders is less 2) Kirana stores can sell anything and everything just not daily needs. When we called to ask that kirana store owner how he could book 112 orders in a day that too all prepaid in cash he happily said I never sold that many orders in regular business since I have take Business in a Box from Dukonline and made my kirana shop as Ekirana I am selling Ecommerce along with my own kirana items I making good money and my customers happy and I am happy. That’s what we want to see in our stakeholders face. Happiness is most important thing that we want to bring in our stakeholders face and Value creation is the core DNA all of us at iPay. These two things make us motivated to come to work every day at iPay. Dukonline® is one of the vertical that was innovated and pivoted at iPay. At nascent stage of the concept we had high hope with Kirana stores that it will sell anything & every thing, and will make any local Kirana store equipped with inventory at par with any other hypermarket, by providing inventory & service through our Business-in-a-Box Solution. Dukonline® powered by iPay® is empowering local Kirana stores to sell the items, which are available through iPay’s Market place. In simple words iPay® market place gives huge product categories (many products as inventory as service). Our sellers sell these products. • Sellers can reach more customers who are not online. • Sellers can establish retail channel of distribution in digital inventory as service across all retailers in iPay network. • Seller is shipping products for the orders, which are pre-paid. • Seller gets his money earlier than normal e-commerce payments. That will improve cash flow for business. • Seller can control their inventory and pricing on their own. • Retailers will be able to sell more products which they have never sold in the past using our Business in a Box solution. • Retailers can retain customers and compete with Hypermarkets with out spending money on inventory extended store space. • Retailer makes money on every sale. • Retailer will become one stop shop in the neighborhood with personal relationship. • Customers are buying items at local store through relationship. • Customers can buy at cheaper price because iPay® or retailer will not stock the product. The benefit of the same can be passed on to customer. • Customer is pre-paying the order with trust and confidence on local retailer. Selling Ecommerce to customers who do not know spelling of Ecommerce. Through affiliates who does not have websites. See how iPay is reaching next billion people through Assisted Hybrid Ecommerce platform. You may be thinking what is this heading?. How is it possible? Wait a moment and ask your self if you can spend 7 minutes then only continue to read. We are proud of what we are doing so we just don’t want to say in one word we are offline flipkart or offline Amazon. Only difference is that we are doing Ecommerce in Indian way. We are iPay. We are brand new Ecommerce Company created to reach next set of Indian customers who are not online. We are creating Flipkarts and Amazons of the world in offline space. While Ecommerce companies all are targeting the customers who are online. Well we are targeting opposite side of customers who are not online. You may be wondering how is this possible. iPay is born with a mission to Empower common man with Ecommerce. 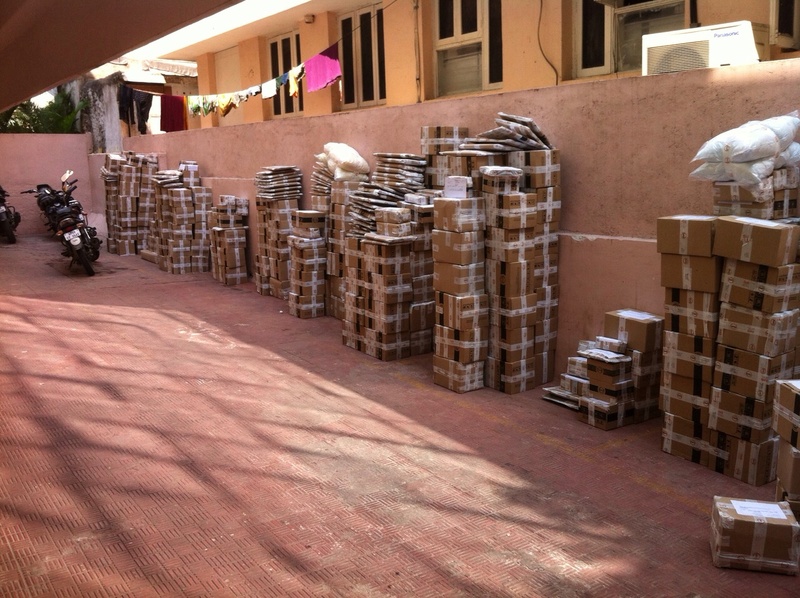 As Indian Ecommerce companies invented a new method called Cash on Delivery. We have invented and patented Assisted Hybrid Ecommerce. Indian customer is a different form customer in other countries. We depend on people to help us in every thing .We stand in queues at airports although if there are free self check in kiosks. We depend on our watchman to pay our bills. We tell our office boy to get snacks for us. We depend on our friends to suggest what car/bike to buy. We depend on local kirana store to deliver our daily grocery. During this process Indian customer makes decisions based inputs he/she gets from social connections. For example if we ask for specific product if kirana wala does not have that, when he suggests some other product we will say ok and buy it. Or He may say he will get it if this is not urgent we will wait for him to get that product . At iPay we learned customer behavior created a new model of Ecommerce with our Patented process. Now what is Assisted Hybrid Ecommerce? As any Ecommerce company would use SEO and online adds or Affiliate websites to drive traffic on to their website. We created Affiliates across Hyderabad. Those Affiliates does not have any website but those Affiliates have customers who walks in daily to purchase some thing in their store. We have placed our business in a box solution at 800+ Kirana stores and told Kirana storeowners to help customer whenever they ask how to do Ecommerce transactions or buy online. When they help they would be paid for helping and completing the transaction successfully. After 1 year since we started beta we are processing 500,000 USD as GMV a month not single order sold on any website rather every order sold through Android tablet at Kirana store. At present we acquire and serving new customer every 15 seconds on the clock. As of now we have acquired successfully and served 1.16 million customers with 3.5 Million transactions. We are proud to share our story. We are proud of few things our customer acquisition cost is in negative while other Ecommerce business has customer acquisition cost hundreds of rupees. Our Affiliates are Kirana Stores who does not have website to send customers on our website. 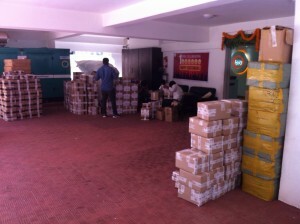 Our customers who do not know the spelling of Ecommerce are buying in Kirana store using our Business in Box solution. All orders are pre-paid in cash we ship the orders after payment. Our customer sticky ness is higher than regular Ecommerce site because Personal relationship of Local Kirana store with the customer. You also watch what happens at our Parking lot after 8 PM before 9:00 AM. 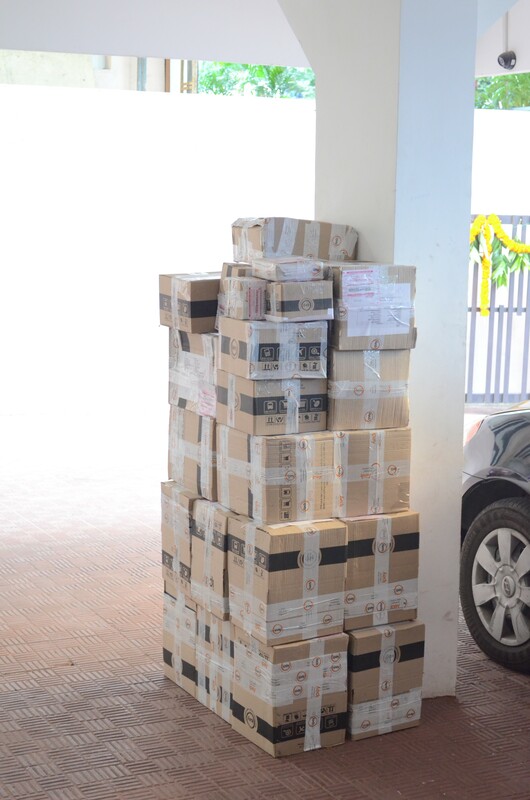 Our Parking lot becomes logistics center Sellers will get their products to our office we brand them with IPay packaging and ship those products to customers/Kirana stores based on customer preference. Jut like any market place model we need to have warehouse to store sellers’ products to give our customers best experience and control the inventory. Since we don’t have warehouses to store we ask them to bring before shipping and pay them in next 24 hours because we got paid from customers already. This is how we can do magic for our sellers. A seller came to us and said he has 1500 Electric Rice cookers around in stock they are not moving for few months. So we said we would try to sell those. Believe it or not we sold 1500 Electric Rice cookers in 7 hours. That night we all busy packing the rice cookers to ship. In the same way another seller came and told us he has unsold inventory of pillows. With in few hours we sold 1000’s of pillows. “What you get by achieving your goals is not as important as what you become by achieving your goals”. IPay, a hybrid ecommerce company was formed to serve the common people by allowing them to buy online goods through offline channels. In order to attract and habituate people we started with digital deliverable goods like recharges, bus tickets, E-bills, etc. Then we launched ecommerce as a service. Initially the adaptation of offline ecommerce and making people buy ecommerce goods at local neighborhood was both challenging and difficult. In Last week of July our leadership team met and came up with a plan to achieve 1000 ecommerce orders per day in next 100 days. Every nook and corner of IPay was decorated with Motivational posters each reminding all of us towards our goal. We started sending coupons with some services giving discount of specific amount. All these were not converting into numbers. We researched on how the various ecommerce companies were attracting consumers to buy. We saw the trend that mostly they give lucrative deals through banners and email newsletter. This again became a challenge for us as we are operating in Offline ecommerce domain. After lots of thought process we identified the channel to convey our deal and tested with offering a product at throw-away price. We sent SMS to about 35000 customers specifying the deal, many employees guessed that conversion might be 100-200, some guessed 200- 300 and with max being too optimistic 380. But the results were overwhelming we were able to sell 380 in initial 2 hrs of the deal and by the end of the sold we had sold about 1600 products. When we asked few retailers about how was the response they said initially people with sms came and enquired about the product. In next 1 hour there was a queue 50-60 people outside his shop. We had reached people even beyond the initial sms sent customers. So when we can do it once . we are confident and convinced that this can be repeated every day . We all here at IPay strongly feel that the technology can change how retailer sells and customer buys offline going forward. We are soon to reach 1000 orders not one day but every day stay tuned for more updates about the wonders we are making at IPay.